As recruiters change the way they filter and select candidates, you’ll need to revolutionise your CV to make sure it lands on their desk. The Corporate World has changed more in the last 20 years than at any time in history, procurement probably more than most. The Procurement function wasn’t even represented on Boards and certainly wasn’t a strategic, value-add function. However, the importance of the CV hasn’t changed, and in the wake of the ‘Procurement Revolution’ comes a necessary ‘CV Revolution’. Recruitment fees have been halved in the last 10 years with RPO’s, Procurement, and internal recruitment teams, all driving down costs. This has meant that recruiters (either agency or internal) have had to become agile and change methodologies. They need to be quicker, and better, at identifying good candidates. Unfortunately, this has driven more and more investment in IT, rather than the human factor. This means CVs need to be different now to 10 years ago. 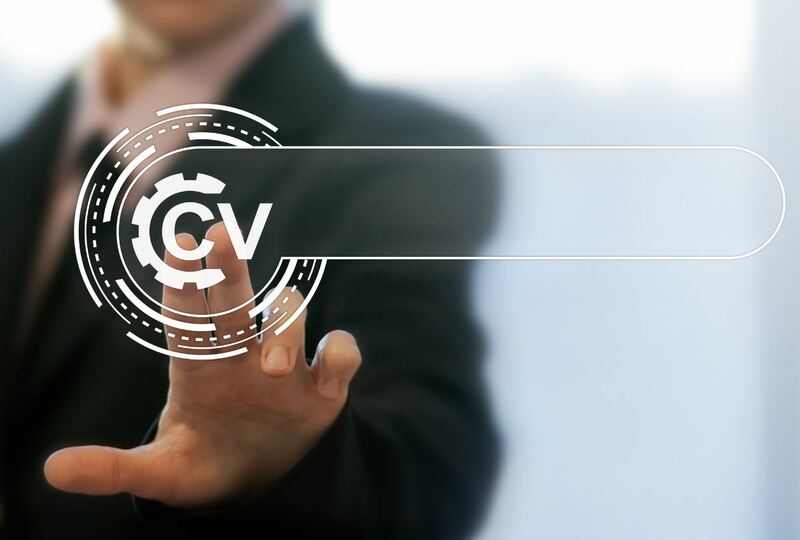 To stand out, a CV now needs to be readable by a human, but first by an algorithm, or search software, to get it on the longlist. It’s vital that your CV is set up to pass the algorithm test. The good news, though, is that if you know the rules, you can use it to your advantage. With some small changes to your CV, you can end up on more longlists, giving you more chance, not less, that decision-making humans will be reading your CV (or LinkedIn profile). Whether you are looking to optimise your CV or LinkedIn profile, the first thing you need to do is put yourself in the mind of the searchers. Whether it’s HR managers, internal recruiters, external recruiters or line managers, they should be searching for similar things. But you need to understand what they are looking for, and how they are looking for it. Manually added codes or keywords are the only 2 ways of searching LinkedIn and CV databases. Manual codes are added by the person viewing your CV, so are purely subjective. But if your CV is focussed enough, it should be coded right by anyone that knows their business. Getting your keywords right is the silver bullet to either scenario. Keywords – What are Mine? Keywords for CV searches are exactly what you think. They can be anything, depending on what the searcher could be looking for. They might be specific or vague (BSc Hons vs Degree; MCIPS vs CIPS). Or they might include category, industry, level, achievement, or team size, or similar. Which are the things you are most proud of? What is your boss and business happiest with? What projects have you been on? Do you have old appraisals or what did you discuss in them? If you’ve been applying for jobs what are the similarities (and therefore keywords) between them? Once you have your keywords, you need to add them fluidly into your CV. Some keyword searching software counts the amount of keywords and rates the CV appropriately, so don’t be afraid to add them 3 or 4 times (where appropriate). And so it doesn’t stand out as overkill, spread the critical ones through your summary, a job title and a job overview. Depending on the software’s (and searchers’) complexity and skill, it may search in a number of ways. Don’t assume these are Google-level algorithms – they absolutely aren’t. Some engines and searchers will search for a specific word string which will not be flexible. For example, if they search for “Marketing Category Manager” then “Category Manager Marketing” wouldn’t come up. There are ways to search for these strings (or any other configuration), but you should set your CV up on the basis that it’s being read by the cheapest, simplest system possible, run by the least IT literate searcher. Plan for the worst and hope for the best. To get around this, make sure you vary the word order through your CV, so you will catch whichever configuration they are searching. For the same reason, make sure you shake up your technical skills. In these examples, if someone does a basic search for IT Category Manager, IT Procurement Manager, Hardware Category Manager or Procurement Manager, then you won’t appear in the search. Make sure you vary it, switching it around in job titles, your personal summary and job overviews. This gets harder as you get to an executive level but play around with the idea. Never forget that you are trying to make your CV as easy to read as possible. Don’t shoehorn keywords in – the holy grail is to get your keywords in your CV without anyone noticing what you’ve done. Natural text is critical. There’s no point getting past the algorithm hurdle to get rejected because it doesn’t make any sense to a human. Thankfully we are still a way away from the robots rising up and making these decisions for us! If you’re getting lots of calls for completely irrelevant roles, you may well have the wrong keywords on your CV, or the wrong codes on their system. Feel free to ask how they searched for your details. If they use codes, ask what codes they have, and feel free to help them correct them if you feel they’re wrong. Make sure your keywords are clear. There are a number of categories that could be mistaken for other roles (Marketing and IT are a couple). Make sure it’s obvious in these areas that it’s procurement you are responsible for, and not marketing as a department. I hope this helps you tweak your CV and make it appear in more, better, searches. Building on over a decade of corporate recruitment (and reading in the region of 250,000 CVs), Andy Wilkinson set up The Chameleon Career Consultancy to coach CV Writing, Interview Technique and LinkedIn Profile writing. If you would like any advice on any of these areas or more help on your CV feel free to get in touch by e-mail, or visit the Chameleon website or LinkedIn page.